Significance -The fort is considered India's 'most haunted' place. Entry Fees - For Foreigner- Rs. 200/-, For Indian- Rs.25/- Video Camera fees Rs.200/-. In our chilhood we have heard several kinds of blood-curdling ghost stories and these haunted stories still scare us as nightmares. 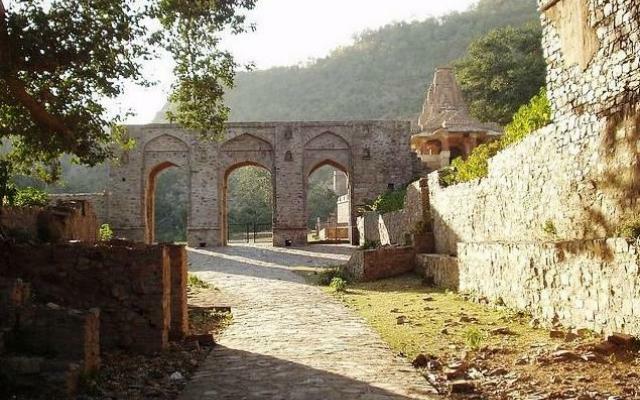 If this is not enough to believe then let us brief you about few best haunted places like Delhi cantt, Dumas Beach in Gujrat and many more in India but Bhangarh is the most HAUNTED place that would definitely give you a real jolt. Bhangarh Fort is situated on the border of Sariska Tiger reserve in the Aravali range in the deserted town of Bhangarh, Rajasthan. 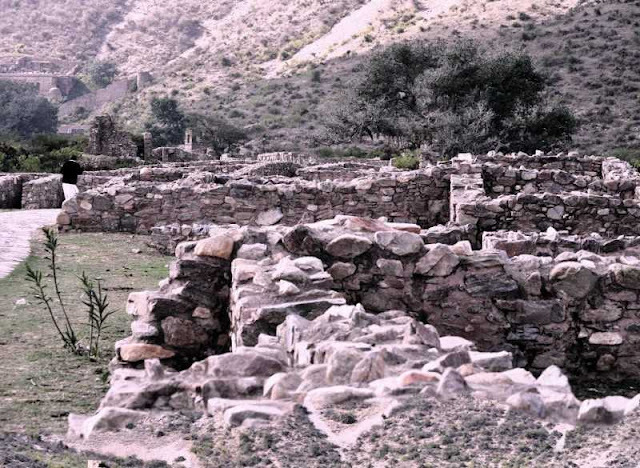 Bhangarh is a ruined town between Jaipur and Alwar. 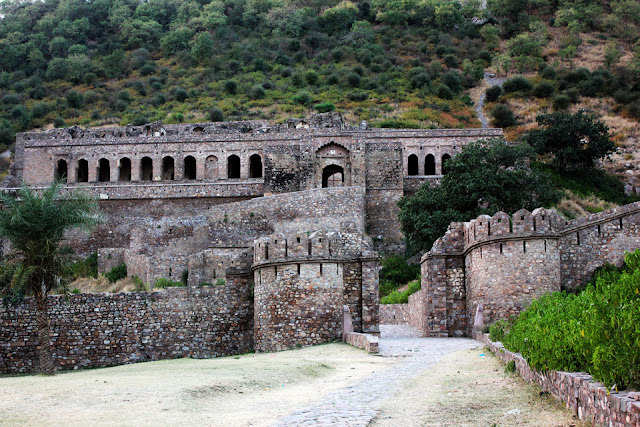 Bhangarh fort is a major tourist attraction and is said to be one of the most haunted historical places in the world. Many myths are related with this haunted fort. 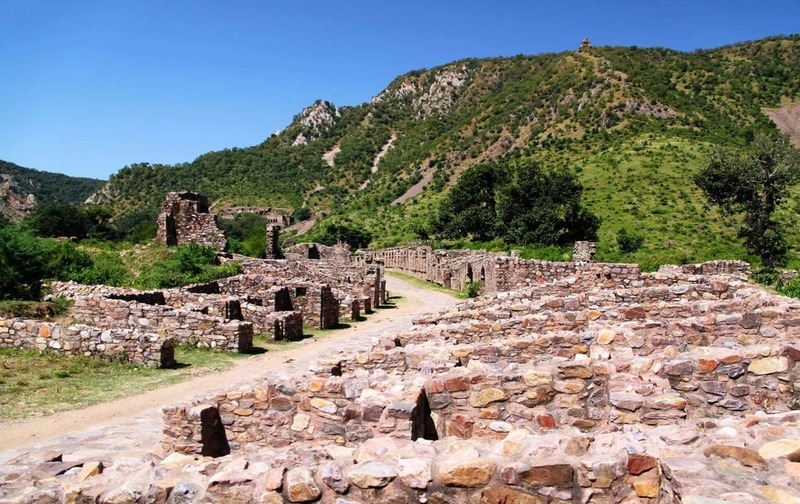 About the town of Bhangarh, it was established in 1573 by King Bhagwant Das who had two sons. His elder son was Man Singh, the famous General of Mughal Emperor Akbar and the younger one was Madho Singh. 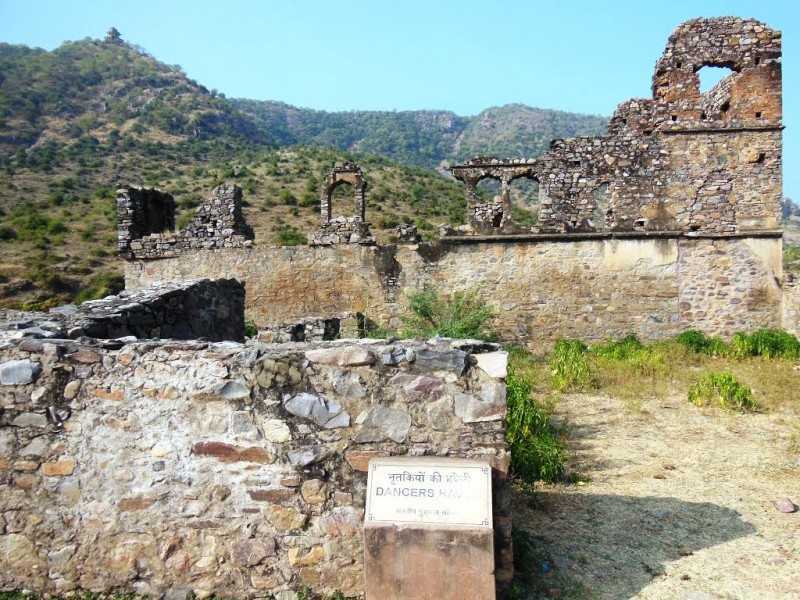 Bhagwant Das developed Bhangarh as the residence of his younger son Madho Singh who lived and ruled Bhangarh his whole life. Madho Singh named the city after his grandfather Man Singh who was also known as Bhan Singh and now the city is recognised as " Bhangarh". Bhangarh Kila was established in 1613 and built by King Madho Singh and the town of Bhangarh was established by Bhagwant Das. Bhangarh Fort might be famed for its haunted and mysterious presence but it can be visited as a place that is beautiful and pleasant. People say, Bhangarh fort is not for the easily frightened (faint-hearted) people. It is rated as the most haunted place in the whole of India. India also has some other world's most haunted places. In fact, if have you ever thought that India was a country of several Gods and Goddess then you can be in for a surprise that India has a dark and spooky side as well. 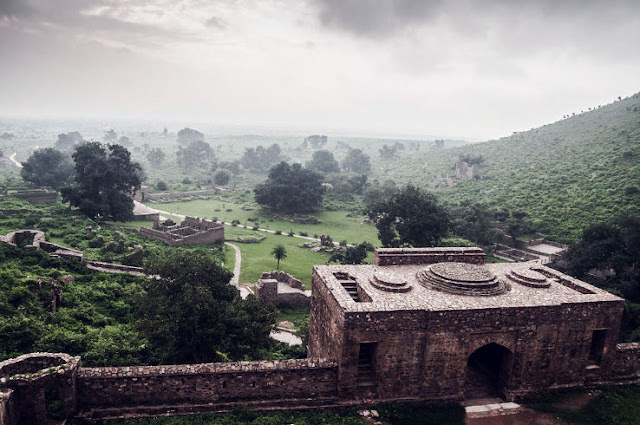 Those people who like to visit haunted places should definitely visit Bhangarh Fort that has its own status of being one of the most haunted places in India. Why Bhangarh Fort/Kila is rumoured to be haunted and what are the folklores behind this "HAUNTED FORT" ? 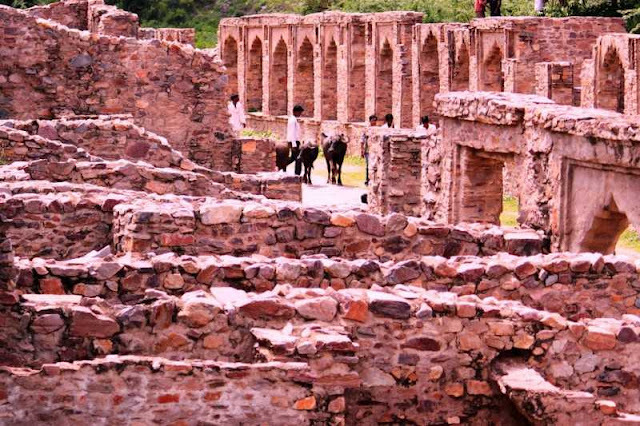 There is a belief about Bhangarh that the place is haunted and no one can dare to go there after sunset. Several ghost stories are behind the mysteries of the Bhangarh Fort, Rajasthan.Out of the numerous stories about bhangarh fort one that is most prevalent is that the Bhangarh city was build by King Madho Singh. For this city, the Emperor got approval by ascetic Guru Balu Nath who meditated at this place. The approval was given on the condition that the shadow of emperor's palace would never touch him at his prohibited retreat. If shadow touched over his place, the city would turn into ruins. The emperor started his fort construction with his money and strength. The Bhangarh fort was constructed with several stories and finally shadowed the prohibited retreat of Guru Balu Nath. As per psychic power of Saint, the entire town was destroyed and ever since any construction around the crushed location or palace faces collapse. The samadhi of Guru Balu Nath is still there where he was buried. Ratnavati was the princess of Bhangarh and was famed for her stately beauty all over her own kingdom and the neighboring states. By the time the princess turned 18 years old,she started getting matrimonial offers from diffrent states. There was a tantrik called Singhia, who was completely smitten by her but knew that the his match was impossible with the princess. But Singhia(a tantrik) under the spell of glorious beauty of The Princess decided to decoy the princess with his magical powers (jadu). One day Singhia saw the princess's maid in the market. So he thought, he'll marry the princess by using black magic on the oil that the maid was purchasing so that upon touching it, the princess would surrender herself to magician. However, the princess saw the Sanghia Tantrik trick that he was enchanting the oil. So the princess poured the oil on to the ground. The oil on ground turned into a rock and rolled towards the magician and crushed him ( Singhia ). Before dying, the magician cursed the Bhangarh city to death and said there will be no more rebirths. After this incident, the curse showed its results in a the battle between Bhangarh and Ajabgarh, where Ratnavati was assassinated. However, some local (folk) stories tell that the princess has taken a rebirth somewhere else and the bhangarh fort is waiting for her return and end the sadistic curse. According to the folk tales, Bhangarh fort is the dwelling of ghosts and that is why entry is prohibited for tourists or visitors in the fort before sunrise and after sunset. According to different local tales, no one is allowed to hangout in the scary Bhangarh fort premises once the sun sets. Therefore, tight restrictions have been imposed at bhangarh fort.... you have to leave the fort at the given time ( in the evening 6 pm) before dusk. The fort's main entrance is locked and Goverment has placed a notice board at the main gate which reads that " visiting the fort before sunrise and after sunset is strictly prohibited and if rules are violated legal action would be taken". There is a rumour that spirits roam in Bhangarh Fort at night. People often hear strange noises ( screaming, crying voice of women, bangles sound in the rooms) and they reported many weird and scarcely credible incidents like some one's talking and a special smell is felt. Such kind of weird incidents are reported in the fort after dusk. 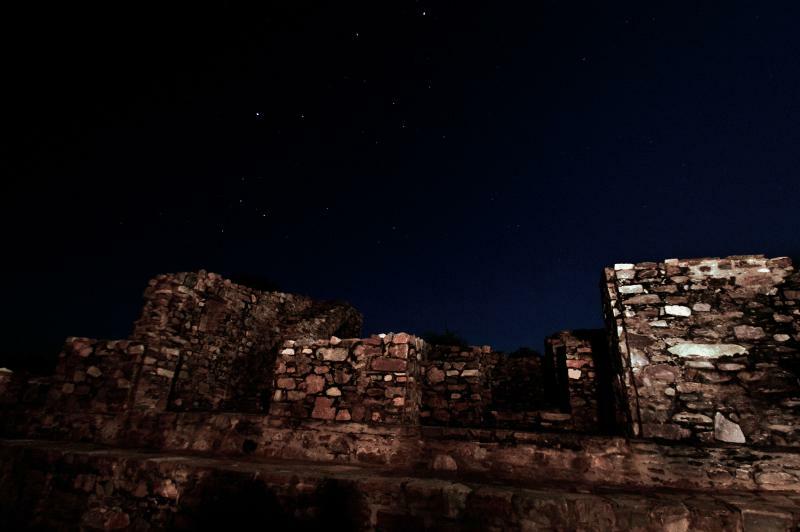 People have seen ghostly shadow, strange lights, unusual sound of music and dance coming from the bhangarh fort. It is said that whoever entered in the fort after sunset and stayed there for a night,will not return from the fort next morning. 0 Response to "Bhangarh Fort Real Story : India's most haunted place"